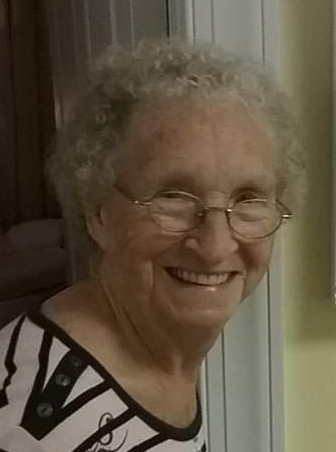 On Wednesday, February 6, 2019 we lost our beloved mother, grandmother, great grandmother, sister, and friend Martha Luan (Kline) Williams. She was preceded in death by her husband Ivan Marcellous Williams Sr. in January 1982. She was born November 28, 1933 near Smithsburg, Maryland. She was the daughter of the late John Russel Kline and Daisy Olive Brunner Kline. She worked at the diner in Smithsburg for a short time. She married her husband in 1949 and helped him on the many farms that they lived on. Most of her life was spent raising their six children while her husband worked away. In her later years she worked as a day care provider. Martha is survived by three daughters, Virginia Carol Forrester (Keith) Smithsburg, MD, Abbie Teresa Williams of Palm Beach Gardens, FL, Kathy Marie Williams of North Huntingdon, PA. and three sons Edward Wayne Williams (Donna) Hagerstown, MD, Ivan Marcellous Williams Jr. (Sharon) Waynesboro, PA, and Charles Russell Williams (Terry) Smithsburg, MD. She had 13 grandchildren, and 29 great grand children. She is survived by one sister, Mable Armstrong of Boonsboro, MD. She was preceded in death by one sister, Vauda Adale “Sis” Kline Martz; five brothers, Kenneth David Kline, Bernard Basil Kline, Grayson Welty Kline, John Junior Kline, Daniel Jonathan Kline, Clarence Kline, and Jerry Lee Kline Funeral services will be conducted Monday, February 11, 2019 at 11:00 am at Mt. Pleasant Church of God on Route 77 near Smithsburg. Rev. Travis Newman will conduct the services. Final resting place ceremonies will follow at Pleasant Valley United Methodist Cemetery on Pleasant Valley Road, Smithsburg, Maryland. The family will receive friends one hour prior to the service. The family request in lieu of flowers, a donation may be made to Mt. Pleasant Church of God, 24107 Foxville Road, Smithsburg, Maryland, 21783 or to a charity of your choice in memory of Martha. Arrangements were made by J.L. Davis Funeral Home, Smithsburg, MD, and online condolences may be offered at, www.jldavisfh.com.